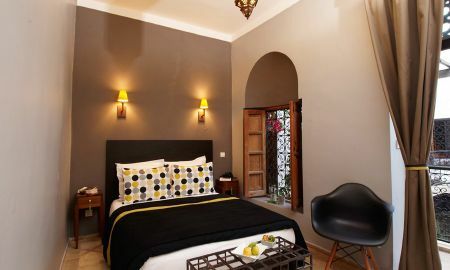 Situated just 5 minutes walk from Jemaa El Fna square and bordering the Souks, this riad's greatest asset is its location, you cannot be more central. 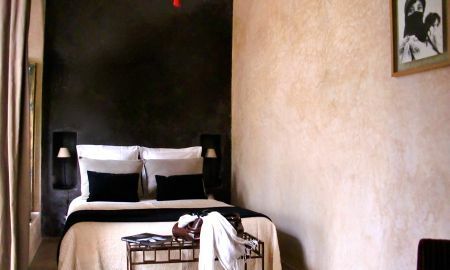 The Riad has been painstakingly restored, retaining all the original carved plaster and wood work. This has been blended with a modern style with clean lines, complimented with tasteful décor that complement the traditional fabric of the building. 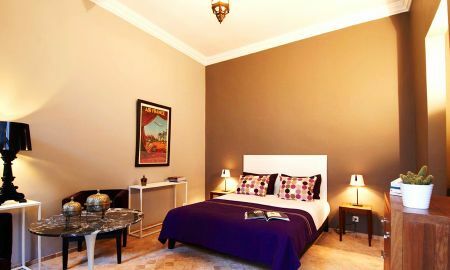 Much of the furniture has been designed by the owner and made in Marrakech. The 6 bedrooms are individually and tastefully furnished and have stylish en-suite bathrooms with designer plumbing fixtures from Italy. 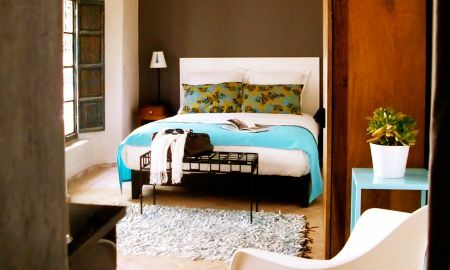 Each bedroom also has reversible air-conditioning (so it heats as well if required), iPod docks, books, safes as well as Internet connection. There are plenty of places to relax with a book, play games, catch up on emails or enjoy a drink. The winter lounge has a fireplace, dining and seating area. The roof terrace has a panoramic view over Marrakech and the Mountains, and offers sun beds, a open air shower and comfortable dining and seating areas. It is the perfect place to relax, sunbathe or enjoy a meal. The main courtyard is light and uncluttered with a pool. The cool and colourful summer lounge is also great place to relax.